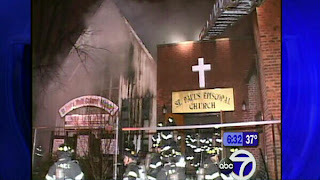 Saint Paul's Episcopal Church in Woodside (Queens, New York) has burned down. I kept waking up last night hearing strange noises. It turns out to have been from this fire a few blocks away. Some neighbors tell me the church is a total loss. I will see how it looks tomorrow as I go to work. At 6 AM, any picture I take will be quite dark. No blogging over Christmas. I have some more free time now. 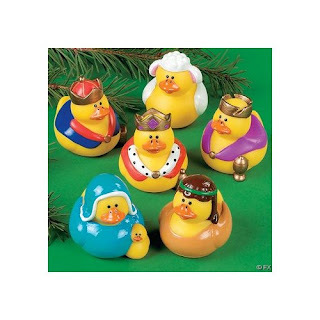 I should be at the Nativity scene in St. Patrick's Cathedral at 50th Street and Fifth Avenue later today. I will give you a report from there. Could Art not have predicted that this would be a national story and even bigger, a Drudge headline? It is shocking on its own. The great problem I have is that it denigrates the real symbol of the passion of Jesus Christ to make a point with which I have some sympathy. 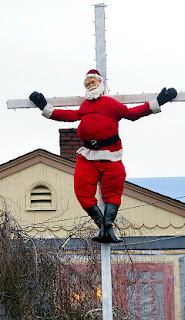 For some, Santa is a sacred symbol. For others, the cross is a sacred symbol. Art Conrad offends us all. Where have they taken My Lord? Stories about stolen baby Jesus statutes are about as common as Salvation Army bell ringers in Manhattan now. People who have been caught stealing these statues or destroying these Nativity scenes offer bizarre explanations. The worst of them was "someone each year does it, I just figured it was my turn to do so." I will try to find a citation for it.